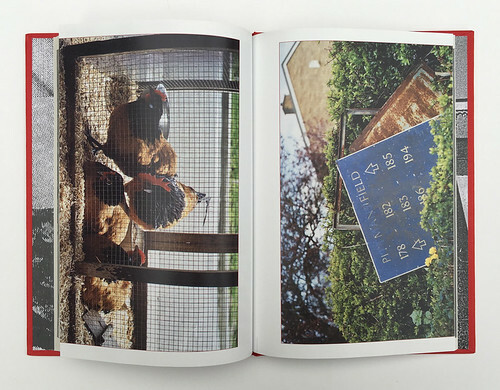 Spreads from Harry Watson’s Harlow at 70, 2018. Top. 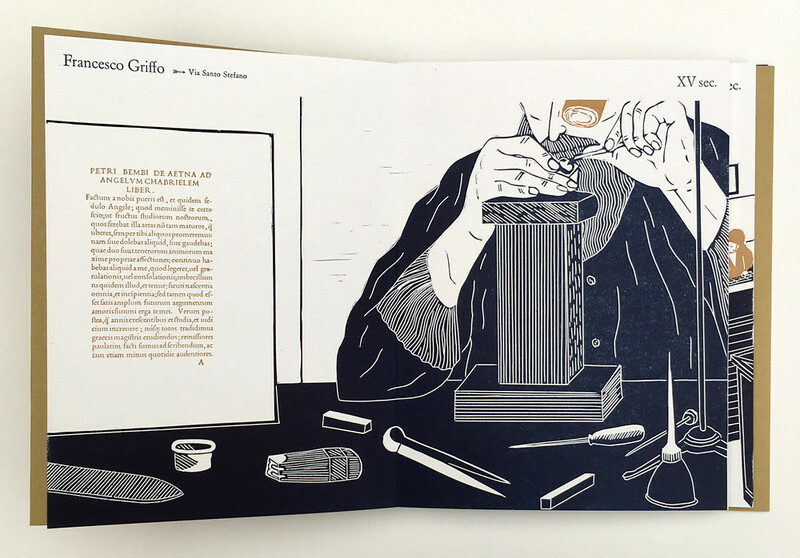 Spread from Giulia Garbin and Stefano Riba’s Tipi di Bologna showing Garbin’s linocut illustration of punch cutter and type designer Francesco Griffo (1450-1518). 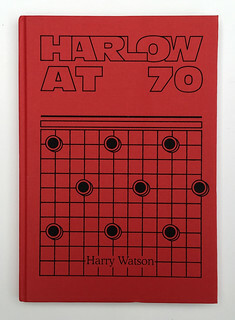 Cover of Harlow at 70. The Workes of William Shakespeare is a ‘flickbook’ based on a poster designed by Abram Games, initially commissioned by the Royal Shakespeare Theatre International Centenary Appeal in 1975. It and Games’s 1977 flickbook are made up of the names of 37 of Shakespeare’s plays – presented in the order they appear in the First Folio of 1623 with some additions – assembled in the image of Martin Droeshout’s copper engraved portrait of Shakespeare. 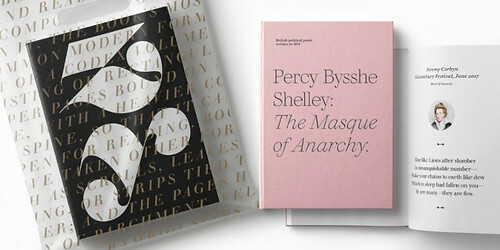 The Workes of William Shakespeare was rediscovered after Games’s death and brings the poster to life as a celebration and extension of his original design, while also fulfiling his aim for it to be a fun and useful educational tool. 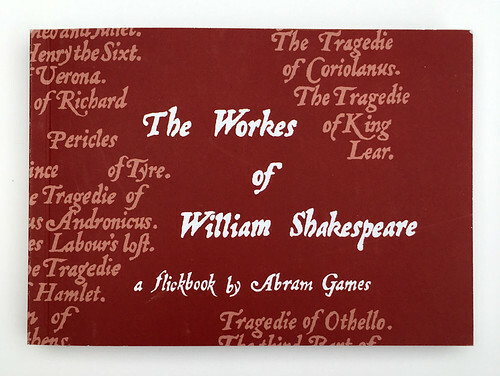 Cover of The Workes of William Shakespeare (Pallas Athene, £7.99), a flickbook by Abram Games, 2018. 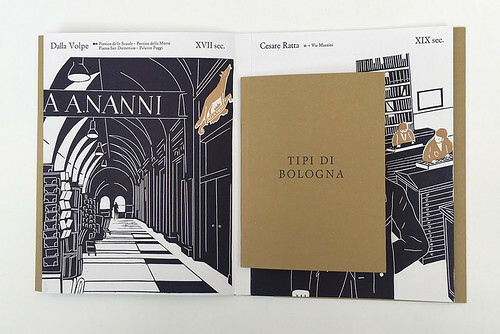 Tipi di Bologna is a hand-bound concertina book of linocut illustrations with a letterpress printed A6 booklet magnetically bound-in that together tell the story of Francesco Griffo (1450-1518), Carlo Manolessi (1590-1661) and Ettore (1907-1980) and Mauro (1938) Mengoli, among others. It is illustrated and designed by Giulia Garbin; researched, written and published by Stefano Riba; and typeset, printed and bound by Anonima Impressori in Bologna (also featured in the book). Tipi di Bologna follows on from Tipi di Torino (see ‘Milan in Shoreditch’), part of a series celebrating the stories and characters of typesetters from across history who have used traditional printing methods. 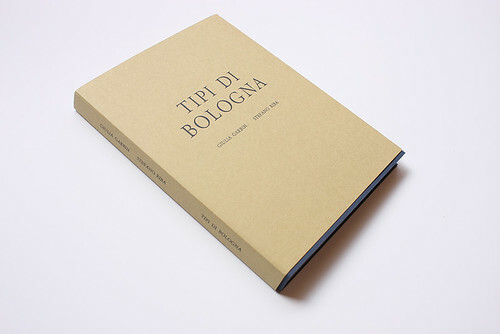 Cover of Giulia Garbin and Stefano Riba’s Tipi di Bologna. 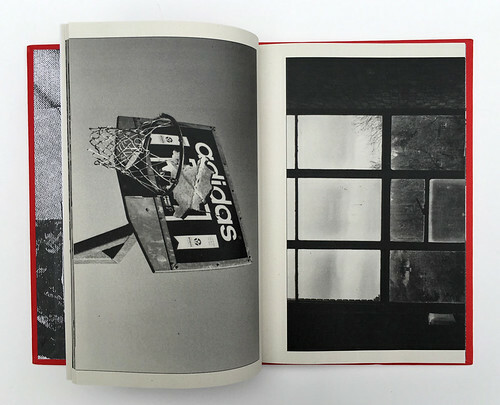 Spreads from Tipi di Bologna showing Francesco Simonchini (1912-75). 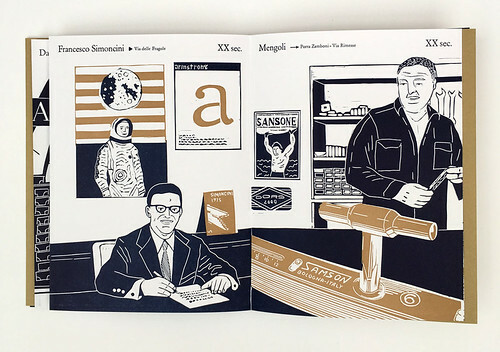 Spreads showing the magnetically bound-in booklet with Garbin’s linocut illustrations for Bolognese printers Dalla Volpe and Cesare Ratta (1857-1938). 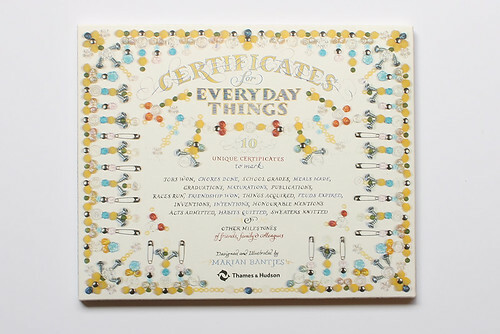 Certificates for Everyday Things (Thames & Hudson, £12.95) is a collection of ten unique certificates illustrated by Canadian illustrator and designer Marian Bantjes (see ‘Reputations: Marian Bantjes’ in Eye 72). These humorous and ornate prints are beautifully written and composed, designed to celebrate the ordinary (and extraordinary events) of life. 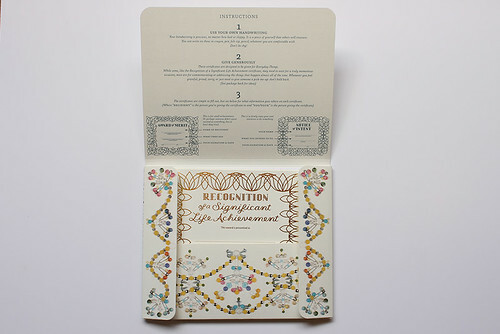 Certificates for Everyday Things by Canadian illustrator-designer Marian Bantjes, 2018. 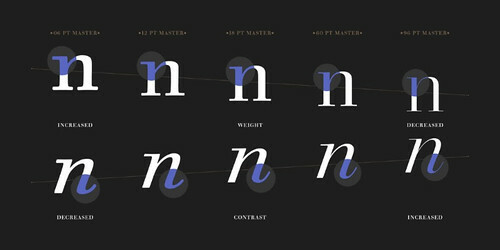 Walbaum is a new digital type family released by Monotype – designed by Charles Nix, Carl Crossgrove and Juan Villanueva – based on the serif typeface created by German type designer Justus Walbaum 200 years ago. Walbaum Inline and Walbaum Decorated released by Monotype, 2018.